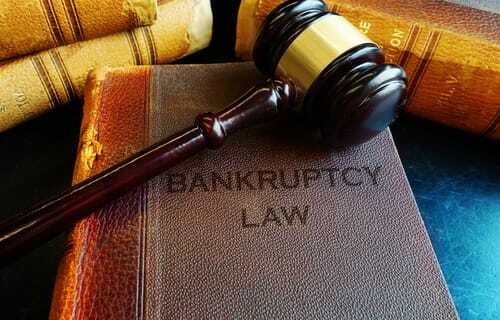 How Does Bankruptcy Affect a Lawsuit? Many prospective clients who may be considering a consultation with a bankruptcy attorney may already be involved in a lawsuit and will have a question about how it affects a lawsuit. There are several different factors that can affect this. First of all, it must be clarified that if the debtor is the plaintiff or the defendant because in the context of bankruptcy this is very important. Something to be aware of is the legal doctrine of Judicial Estoppel. If you fail to tell a future attorney about your past bankruptcy case while it is still ongoing, you may be unable to pursue a second claim. This could apply to situations in which you are injured in a car accident and consulting with a personal injury lawyer without telling him or her about bankruptcy. Your injury suit could be dismissed. If the defendant is the one being sued – as is the most common situation in consumer bankruptcy cases – filing for bankruptcy will automatically stop the lawsuit against the debtor because of the automatic stay provision that arises in a bankruptcy case. There may be some exceptions for the automatic stay to apply so it is important that you retain an experienced bankruptcy attorney. In many cases, the person who is being sued in a legal claim is being named in this case for a debt that there is no way for them to pay. The first conversation may be whether or not they have any legal defenses to the lawsuit. Consulting with a knowledgeable attorney is the best way to get clear answers to these questions. When you know you can turn to a lawyer who has experience in the field and who remains committed to looking out for your best interests, you get the peace of mind that someone is advocating for what’s best for you. Get the trust and experience you’re looking for by scheduling a meeting today with the Law Office of Joel R. Spivack at 856-861-6203 or by filling out our convenient online contact form.